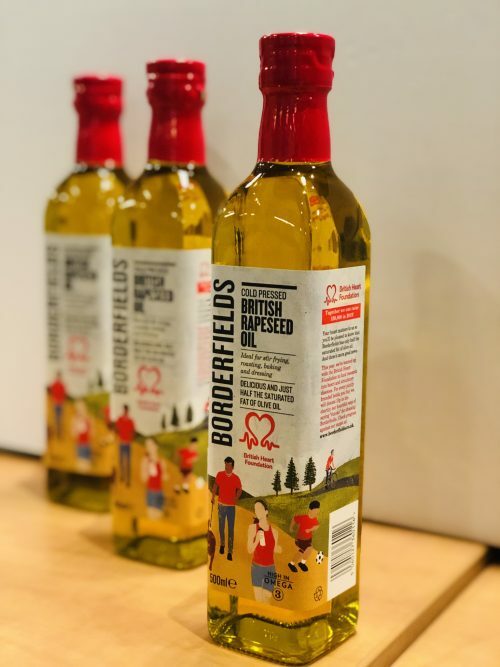 Cold-pressed rapeseed oil manufacturer Borderfields has partnered with the British Heart Foundation for 2019 and is set to raise more than £50,000 for the charity. The Nottinghamshire-based producer launches their jointly-branded bottle with the British Heart Foundation (BHF) to be sold across supermarkets in England and Scotland from February. To celebrate the partnership and raise vital funds for the BHF, Borderfields are donating 10p from every co-branded bottle to the charity. Simon Gillespie, Chief Executive at the BHF, said: “Heart and circulatory diseases kills around 150,000 people each year in the UK – that’s one person every three minutes. We urgently need to fund more research to help end this heartbreak and save lives. So we’re absolutely delighted to have been chosen as Borderfields’ charity partner.